We have a food truck! There are many locations that we serve through-out DFW. You can find us most weekends at the Las Colinas Farmers Market/Deep Ellum Outdoor market on Saturdays and Watauga Farmers Market on Sundays. Whirlycones are taking over DFW. The traditional Kurtokalacas are a Hungarian pastry and street food. They are dough cones baked upon a flame in a rotisserie oven and then coated with flavorful toppings. Malkeet (Miki) caught wind of this in a social media video and was inspired by the possibilities before her. She spent the next two years: researching, testing, and experimenting to develop her twist on the twisted cone. After losing her job in the IT field it allowed her to fully transition her focus into the chef that she always wanted to be. 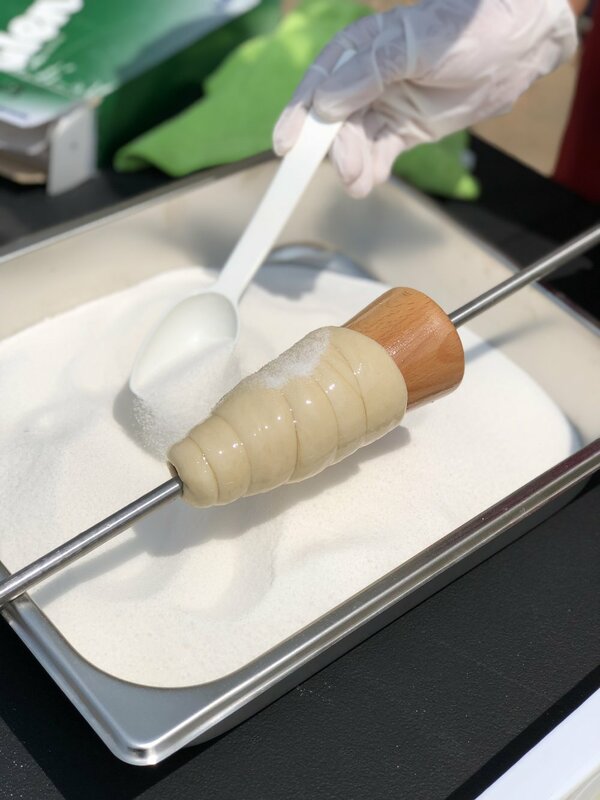 From a simple social media video Miki Saini, founder of Whirlycones, was inspired to re-create a delicious pastry from scratch with the determination of bringing it to her hometown.